Math is an important subject for school age children to master. 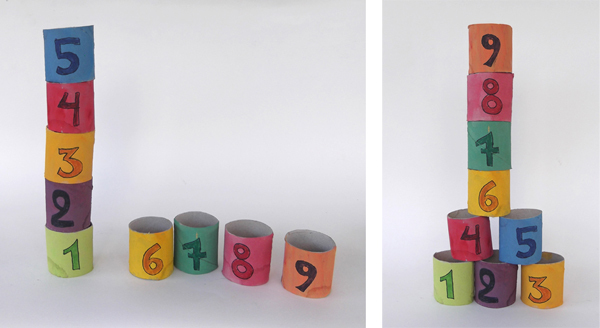 Recycle empty toilet paper rolls to help kids learn the numbers and basic math skills like counting, ordering, adding and subtracting, in a fun and rewarding way. 1. Cut a toilet paper tube in half. From a single tube you'll make two smaller tubes. 2. 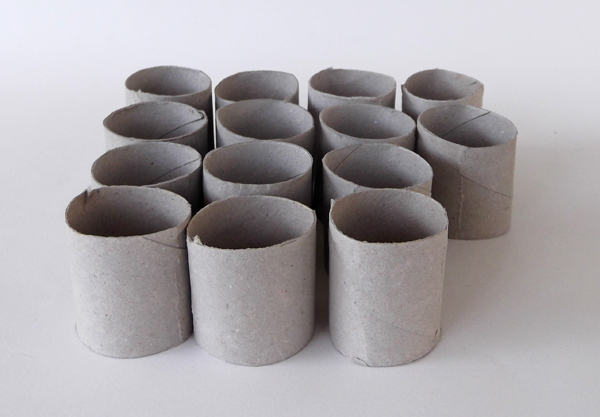 Cut in total 7 toilet paper tubes to make 14 smaller tubes. 3. Paint eleven tubes with vivid watercolors. Let them dry well. 4. 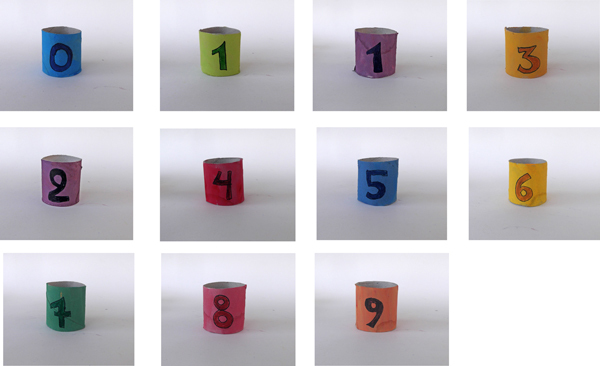 With color markers draw the numbers from 0 to 9 on each tube. Draw the number (1) twice. 5. 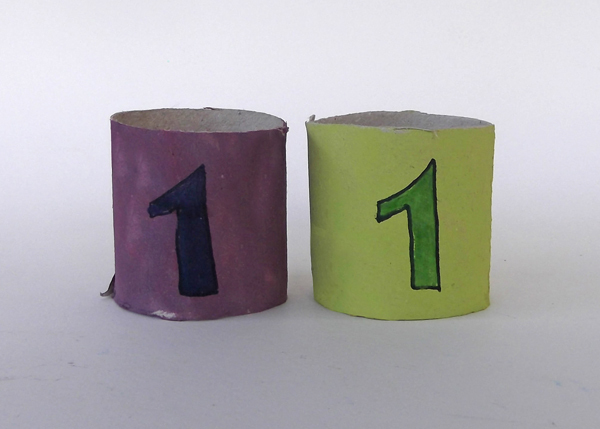 Use the rest three tubes to make the three basic mathematical symbols. Pick two number tubes. Place between them the symbol of addition or subtraction. What is the result. 1. Put the numbers in order and build pyramids. 2. 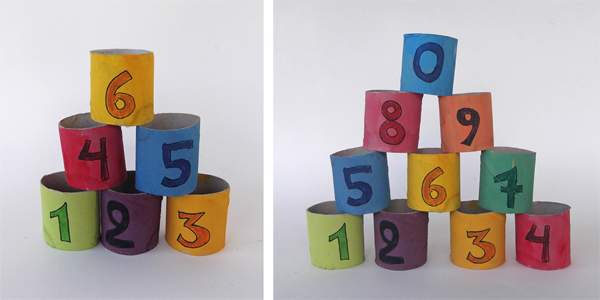 Put the numbers in order from top to bottom and make tall towers. 3. 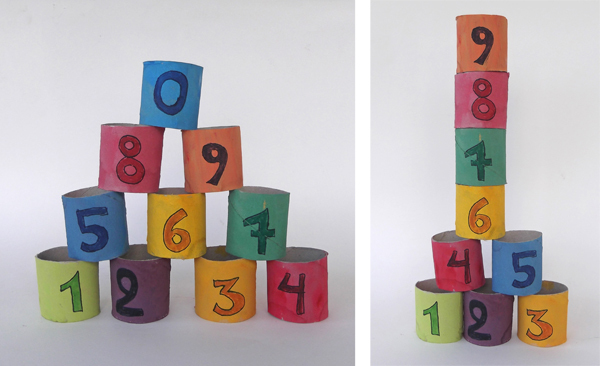 Build walls either by dividing odd and even numbers or by arranging numbers in order. Why you made number (1) twice? to make number 11.